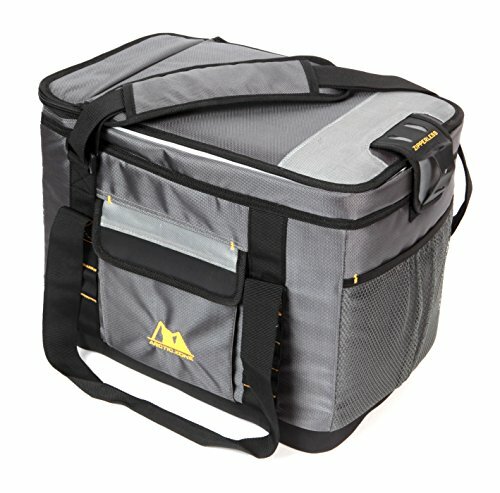 This cooler has it all: a unique "flip-open", patented Zipperless lid that allows quick access to food and drinks, SuperFoam insulation for superior cooling performance, a hard liner with SmartShelf and a sturdy exterior with rugged base and insulated compartment. The SmartShelf allows you to keep hard stuff like drinks separate from soft stuff, so sandwiches and other soft foods don't get crushed. If you want to use the entire liner, the SmartShelf easily removes to provide one large compartment. 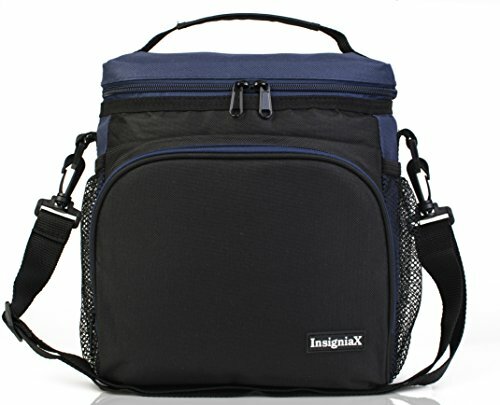 Designed for convenience and usability, this cooler also has exterior pockets and can be carried either by its adjustable, padded shoulder strap or by its handles. 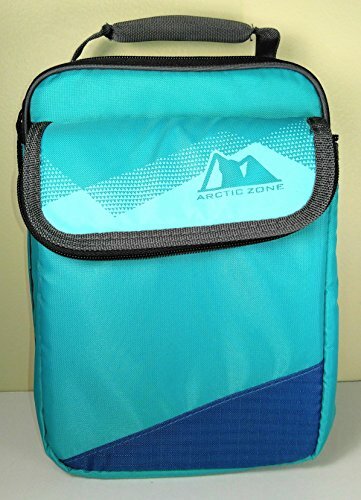 Go Fresh with the Arctic Zone Ultra Expandable Lunch Pack! 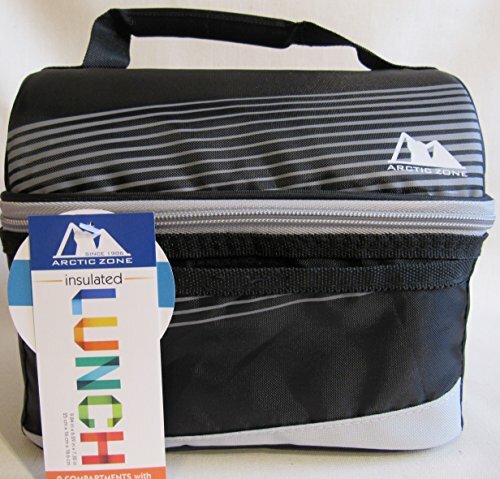 This lunch pack almost doubles in capacity when expanded, has SuperFoam insulation plus Therma-Flect radiant barrier to keep contents cold and features a leak proof, easy clean lining with Microban that protects against bacteria that causes odors and stains. There are two padded handles for vertical or horizontal carrying as well as a leak proof container with 2 removable, bento style compartments and a high performance ice pack. This two-compartment lunch bag features high-density thermal insulation to keep food and drinks cold and an Ultra Safe easy clean lining with Microban to protect against bacteria that causes odors and stains. Pack food in the top compartment and heavier items like cans in the bottom. Dual closure allows you to close the Lunch Bag Plus with the flap or gain even more capacity by using the zipper. 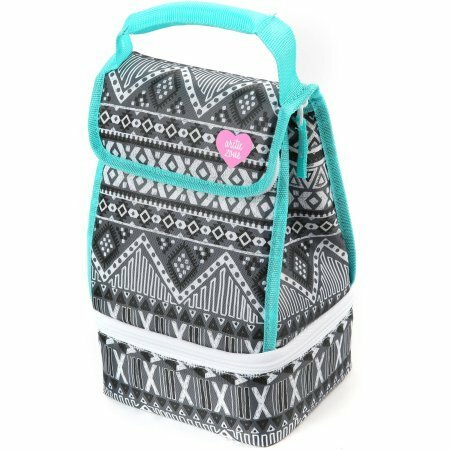 This Arctic Zone Lunch Bag Plus, Black And White Aztec, does not just keep your meal cool and ready to eat. It makes a fashion statement that will help you feel wonderful about your midday break. The high-density thermal insulation will protect your food from heat. 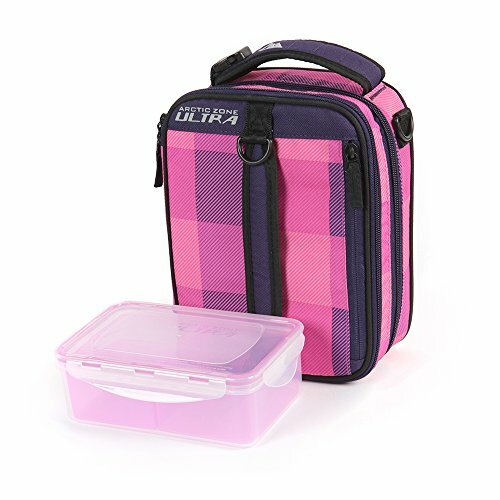 The dual compartment lunch bag allows you to place snacks that are light at the top while heavier items will rest comfortably on the bottom. The double closures keep it shut with the flap or the zipper for extra protection. 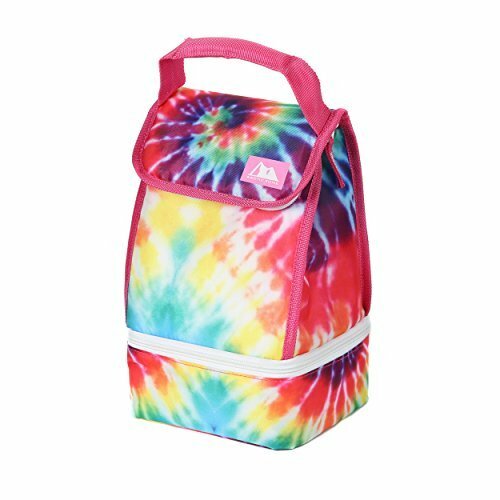 With this thermal lunch bag, you will have more capacity to keep your favorite lunch food fresh and ready to eat. The padded handle offers a secure and comfortable way to carry your insulated carrier from place to place.. Arctic Zone Lunch Bag Plus, Black and White Aztec: - Dual compartments - High-density thermal insulation - Ultra-safe, easy-clean lining with Microban - Padded handle - Dual compartment lunch bag has closures: flap or zipper. The Quality of Arctic Zone: Charlotte Lunch Totes. Has high density thermal insulation. Therma-Flect interior radiant barrier with Ultra Safe leak proof, easy clean lining. Convenient and Handy Exterior Zippered Pocket for All the Extras. The Lunch Bag Plus features high density thermal insulation to keep food and drinks cold and an Ultra Safe® easy clean lining with Microban® to protect against bacteria that causes odors and stains. Dual closure allows you to fold the flap down for lighter loads or use the zipper for extra capacity. 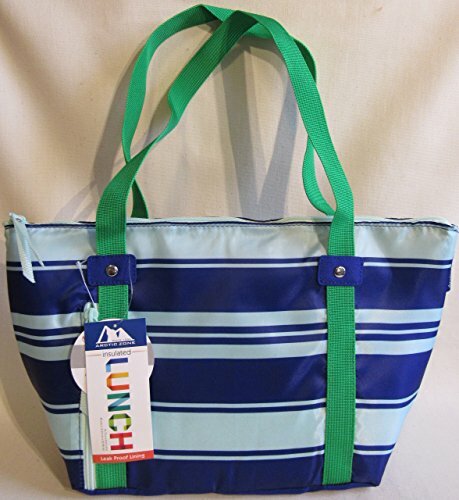 A padded handle makes this lunch pack easy to carry. Fresh Color Assortment From Arctic Zone: 2 Compartment lunch bucket with Therma-Flec insulation. Easy to access and clean zippered interior areas. High Density thermal insulation, Leak Proof Bottom Compartment, Microban. Choose The Color/Pattern that is Best for You! Made of rugged and durable material - 3 Color Patterns to Choose! Has high density thermal insulation. Very easy to clean and maintain. 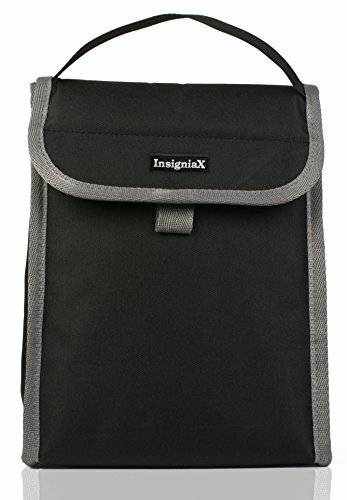 Has an extra expandable exterior pocket with both zip and Velcro closure. Comfortable padded handle. Arctic Zone Lunch Box // 12 Arctic Zone Lunch Box You've Got A See! 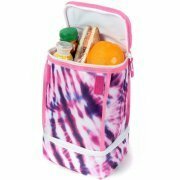 Compare prices on Lunch Bags Artic Zone at ShoppinGent.com – use promo codes and coupons for best offers and deals. Start smart buying with ShoppinGent.com right now and choose your golden price on every purchase.